Alpaca fleece first captured the attention of the ancient Incan royalty hundreds of years ago. Clothing for the royal family and high government officials was made exclusively from alpaca fiber. In fact, reverence for the buttery soft, luxurious alpaca clothing caused alpaca to become known as “The Fiber of the Gods”. ​ Alpaca fleece is warmer than wool, feels like cashmere and comes in many natural colors. Don't you want to feel like royalty? Even though it is spring, many of our alpaca products can be worn year round. 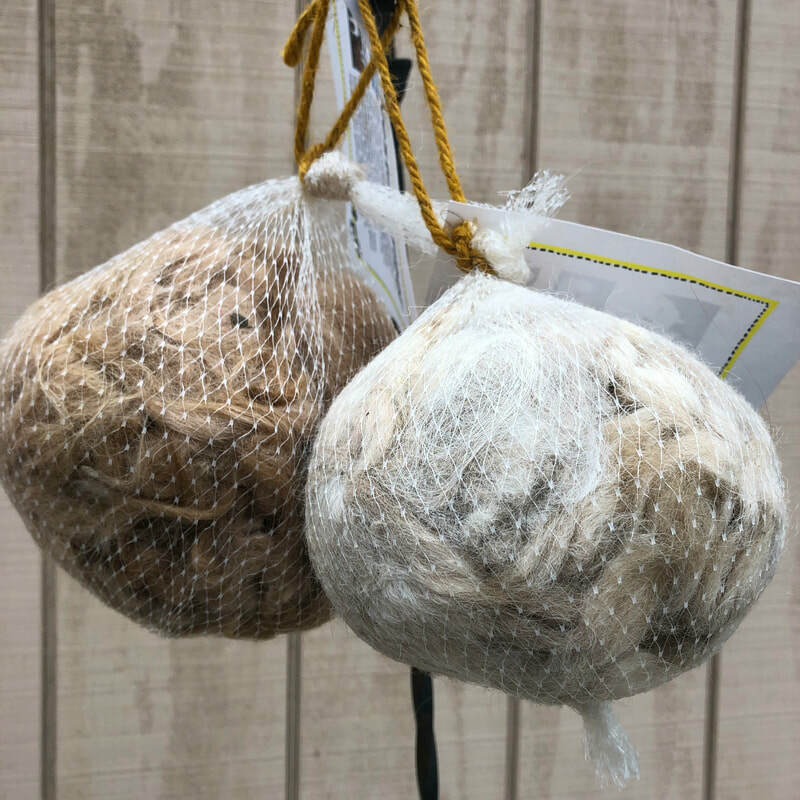 Our bird nesting fiber is a very popular product in the springtime. No one can never have enough dryer balls for their clothes dryer either. We have a beautiful selection of unique Alpaca handmade products. If you can’t find what you are looking for, please let us know so we can help.